Welcome Back! Hope everyone had a fun and safe holiday season with family and friends. Wishing peace, health, and prosperity to you and yours for 2015! We get to start anew with a clean slate in many areas. New Year’s Resolution: One of my resolutions is to read current books. I’m usually a few years behind. Case in point: I’m currently reading the first Game of Thrones Book twelve years after the fact. Still, a great read though. In 2014 there were about 35 movies released based on books. I’ve seen Unbroken, Mockingjay, The Imitation Game, Maze Runner, Gone Girl, and Hundred Foot Journey among others. 2015 promises more of the same. So I’m going to read a few of the books before the movie is released. I’m starting with The Martian by Andy Weir then moving to Child 44 by Tom Rob Smith. Murcat Manor: Still in the editing stage. I’m looking for a new title for the book as the initial feedback for Murcat Manor was not very good. More on this on Wednesday’s IWSG post. I’ll start the querying process this week and send out about a hundred to a list of various agents and publishers. We’ll see what happens. Oh, and I need to finish the cover art. In the meantime I’m cleaning up my blog beginning with the Tab Pages. I took a look at them and realized how sloppy they look. But I think I’ve got them looking pretty good. Now to work on the side columns. 2015 Celestial Newsletter: Last year I made a celestial Calendar for one of my Tab Pages. This year I’ve expanded it to a once a month newsletter that contains lots of cool and rare astronomical events you can see from your back yard along with other cool tidbits. I encourage you to at least check it out. So take a moment to check out the 2015 Celestial Calendar TAB at the top for more info, or simply fill out the form below. I only ask for your first name an email address that I’ll never compromise to anyone. Ever. Unsubscribe at any time. Trust me, you’ll be glad you did. 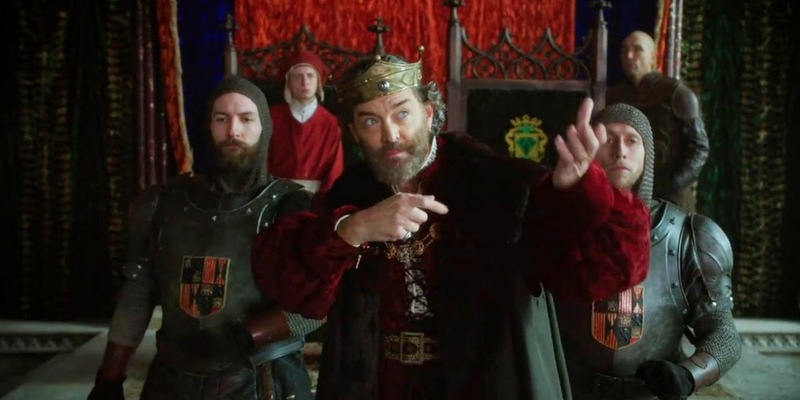 Galavant: I’m looking forward to the four week run of Galavant on Sunday nights on ABC. It's billed as a Medieval Geek Smorgasbord similar to Monty Python and mel Brooks films. Combine this with slap stick humor and Weird Al Yankovic and I’ll give it a try. Finally: Have any books you've lined up to read for 2015? Ready for the first IWSG of 2015? Watching Galavant? And don't forget to sign up for the 2015 Celestial calendar. Give it a try and check out what's on tap for this month. You'll be truly amazed at our amazing universe. Thank you for subscribing to my 2015 Celestial Calendar. Welcome back, Stephen! Yes, it's been fun taking a holiday break. Good luck with the querying. The new tabs look good. And will sign up for the newsletter. Thanks Alex for the well wishes and signing up for the newsletter. They probably won;t go out until tomorrow morning. Happy 2015. Sounds like you have some big plans. I like your cat novel idea and can't wait to hear more about it. I know what you mean about reading more current. I've been working on that, too. I have a large virtual stack of ebooks to read from 2014. I have a long list of books to read this year. I'm not big on going to the movies though I will check out a few here and there. I almost always wait and rent them on TV or watch them when they come to HBO. I'm not sure my signup for the newsletter worked. I do want to get it. Thanks Susan for signing up. Since I just signed up with GraphicMail I may not be able to send the newsletters until tomorrow morning as I need to talk with customer Support regarding a few glitches. Hey Stephen, all signed up...I think. Love the new tabs. Sounds like you have a busy start to 2015. Your novel sounds fantastic. 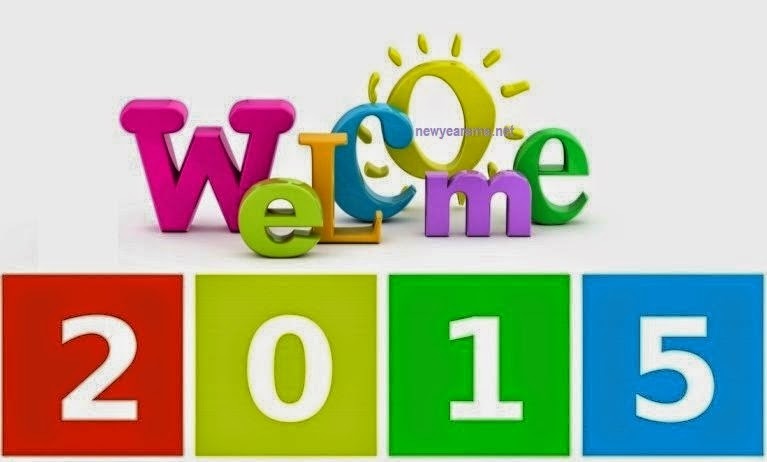 Happy New Year to you and your family. Happy New Year, Stephen! And good luck on the querying. If you need help brainstorming a new title for the book, let us know. Maybe we can help. Thanks Diane, that will be the subject of Wednesday's IWSG post. I'll include a short synopsis and ask for feedback to new title name. Thanks! Love your cat with the attitude! The mice around here would roll over and die when first sighting her/him. Happy New Year and good luck with that title. The Martian is wonderful and a little stressful. You'll be a query madman this month! Best of luck. Sounds like you are off to a great start for 2015! Wishing you all the best! Hi Stephen, looks like a great start to the year! All the best! Hi, Stephen. Happy New Year! I hope 2015 is all you hope it will be. I'm usually behind everyone else when it comes to reading books. Same with movies, since I don't go to the movie theaters. Susan, Netflix and Amazon Movies are great. I save a lot of money this way and I eat healthier too. I'm really in movie mode these days. We have a $2.00 theatre close by that is actually clean and smell free. I catch a lot of movies there. Your blog looks terrific. Nice job giving it a fresh and shiny face for the new year. Good luck with the queries! You're definitely better than me about reading current books. I read just what I can! Changing up your blog is fun right?? Can't wait to see it till the end!! Tammy, it's mainly getting rid of old stuff, cleaning up what remains, and making a new banner. But I'll keep the format at least for now. My resolution is just to read more - both old and new books. Reading good books always informs my writing! I know all about being ages behind everybody else when it comes to books. Good luck meeting your target for 2015. Happy New Year, Stephen. I've signed up for the newsletter - it sounds interesting! Thanks Annalisa. You should receive it this morning. Thanks everyone for signing up for the newsletter. Much better than watching TV. Hubby and I watched the first episode of Galavant. Had a couple of laugh out loud moments. I'll be watching next week. I'm signing up for the newsletter, paticularly since we've been watching the comet that won'lt be back this way for like another 8000 years! I'm always behind on movie watching. I usually wait until they come on TV. 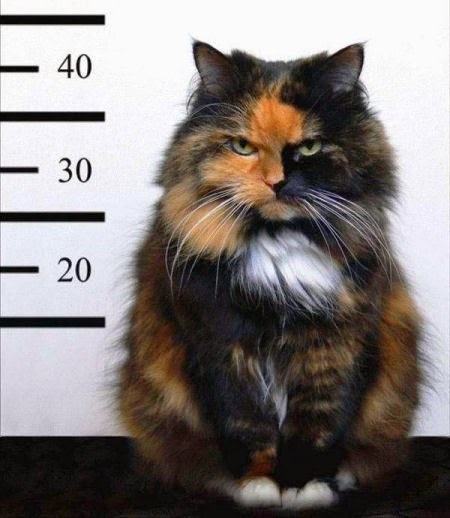 Love the cat photo, lol. I even like the title Murcat Manor. It sounds cozy--but maybe that's not what you're gong for? I signed up for your newsletter. Happy New Year, Steve! Ah, Stephen, love the cat. I'm big on attitude and I love his. Happy 2015. Here's to big happening for you this year. Just remember to wave at us minions when you're on national tv. I want to see Unbroken and The Imitation Game. Loved Gone Girl. I think Murcat Manor is a funny title! I love that cat pic... and Murcat Manor sounds alright to me. I'd like to see Galavant, but I haven't seen it advertised yet in Australia...siiiighhhh! Happy 2015 Stephen. This year I plan to read lots of books across genres and not restrict myself to MG books only. Loved Gone Girl. I didn't realize just how many movie that came out in 2014 were based on books. The number is impressive. Happy New Year! The tabs look great, and I like your reading goal. I'm all over the place with what I read. Some new, some older. That's a pretty impressive book-to-movie list! Welcome back, and I really enjoyed Galavant last week. Hilarious! I hope it continues the same into this week.